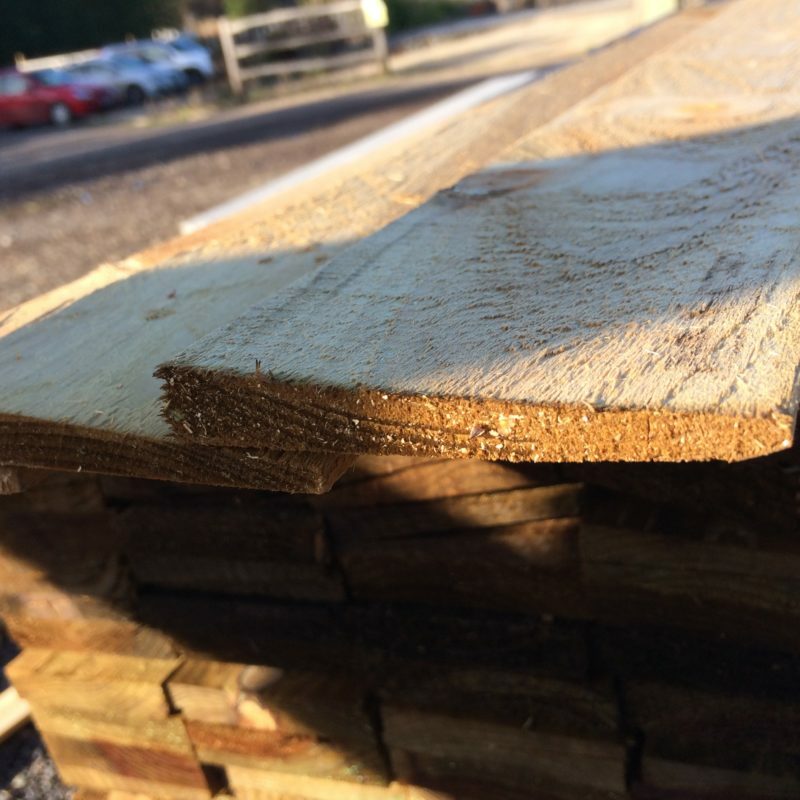 Feather edge boards are predominantly used for cladding a closeboard fence, although many of our customers use them for other projects including repairs to garden sheds. As with most of our products these have been pressure treated and should therefore help increase their desired service life. Our 1.35m high feather edge boards when being used as cladding for a closeboard fence would normally be used in conjunction with a gravelboard underneath giving you an overall finished fence height of 1.5m. Once the boards have been fixed vertically onto a rail overlapping each other by approximately 25mm, fastened using nails this will help create a strong and sturdy fence. The name feather edge board refers to the shape of the timber, feather edge boards are cut diagonally giving you one edge thinner than the other.